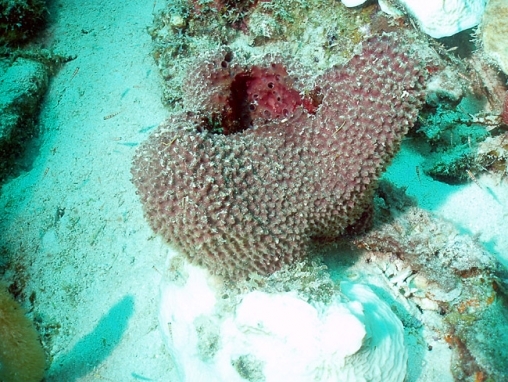 The surface of this species is covered with small cones, as in other Ircina sponges. 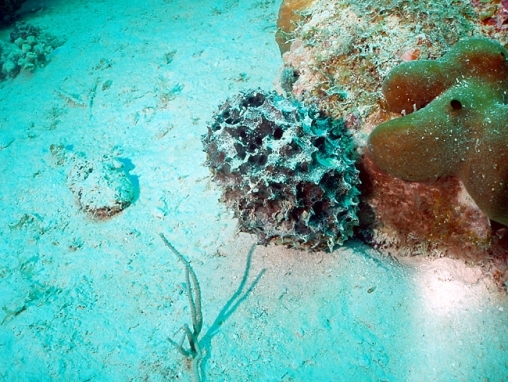 The cones are often quite large. 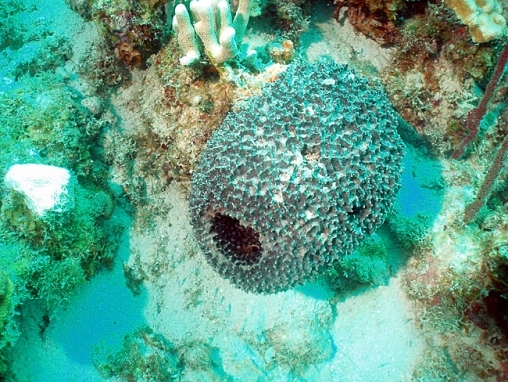 This sponge develops into tube-like shapes, the interiors of the tubes containing the numeous exhalent pores. 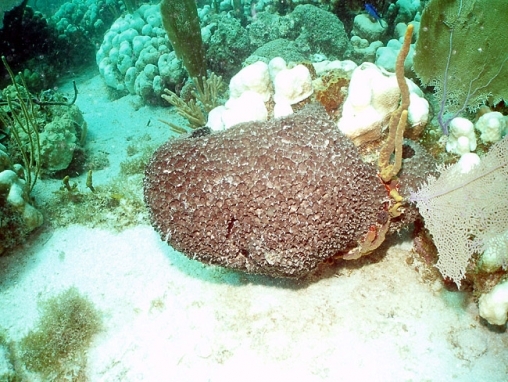 Some colonies remain spherical to massive. 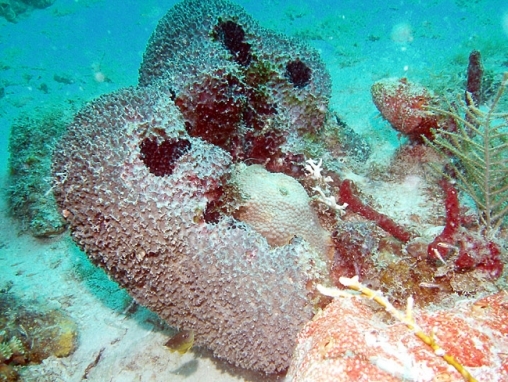 This species is usually black. 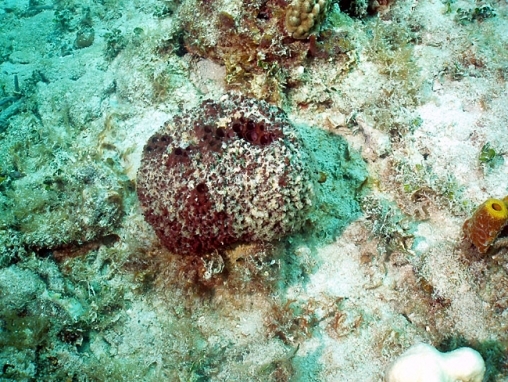 This may be the sponge called Ircinia felix forma acuta by Rutzler (1986).